Start taking classes at ReVital Massage and Spa and other studios! 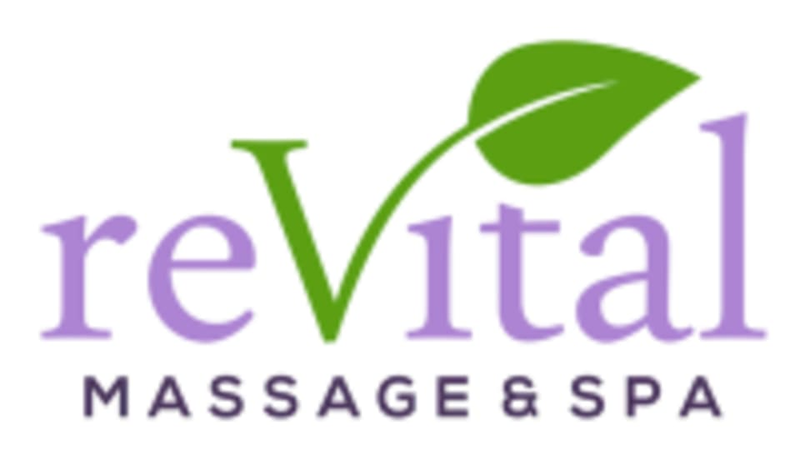 ReVital Massage and Spa is a locally owned and operated business. Your heath and wellness is vital here.. Whether you are a weekend warrior seeking help with recovery from that triathlon, someone seeking pain relief, or in search of a relaxing facial after a long week, their team of experienced and licensed massage therapists and estheticians can help you. Their years of experience allow them to focus on your individual needs. They will work to customize your treatment, be it massage or facial treatment. ReVital Massage and Spa is a premier ClassPass Wellness venue. See their class descriptions for more information on the services they provide. Gratuity is not included in the cost of your reservation. Please remember to tip based on the full amount of the service reserved. Please arrive at least 15 minutes before your appointment time. This will allow you to fill out your intake form and get into a relaxed mindset. This way your appointment can start at the scheduled time. Any appointments that are started late will still end at the scheduled time. Please also note that you are reserving a specific appointment slot with an assigned practitioner at ReVital Massage and Spa, so if you need to cancel your reservation, please do so as early in advance as possible! Austin ReVital are located on the corner of Ranch Road 620 North and Lake Creek Parkway. If you are heading north on 620 we will be to the right. When facing their parking lot they are on the very right hand side. James was amazing! one of the best massages I've had! very professional and welcoming!